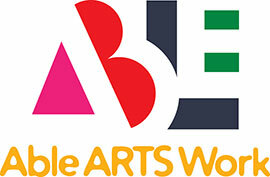 Able ARTS Work (formerly known as Arts & Services for Disabled, Inc.) thrives on the visionary and enthusiastic contribution of professionals and students who believe in making a profound difference in their community. If you believe that the arts have the muscle to change lives and inspire, we want to meet you! Employment and internship opportunities are available.